The Golden Gate is visible on the right. It’s not golden-colored any more. 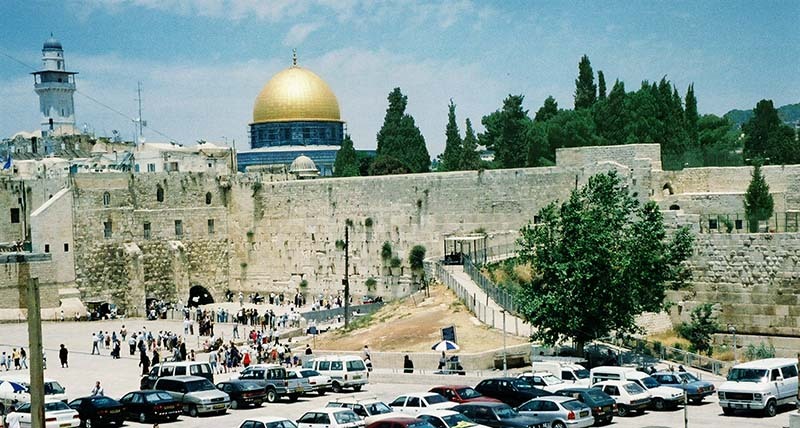 I wonder if Jesus knew ~ as He wept ~ that someday the Jewish Temple, which was so very important to His people, would be replaced by the Dome of the Rock of the Muslims, who believe that their messiah Mohammed ascended to heaven from the rock that is under that golden dome. Today, this is the source of sorrow for the Jews who long to restore the Temple. The Wailing Wall is all that is left of the old Temple Mount since Jerusalem was destroyed by the Romans 37 years after Jesus wept for it. 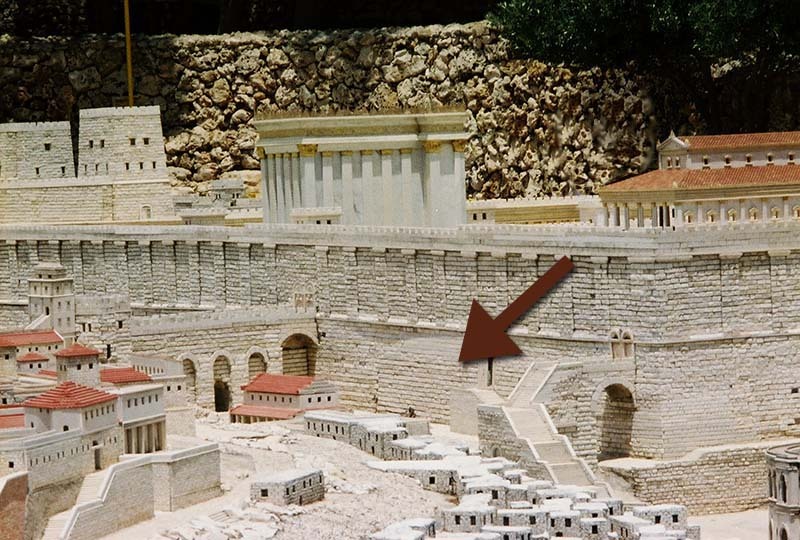 Below, the model shows what this part of the Temple Mount looked like in Jesus’ day. The red arrow points to the section that remained after the destruction, the Wailing Wall. 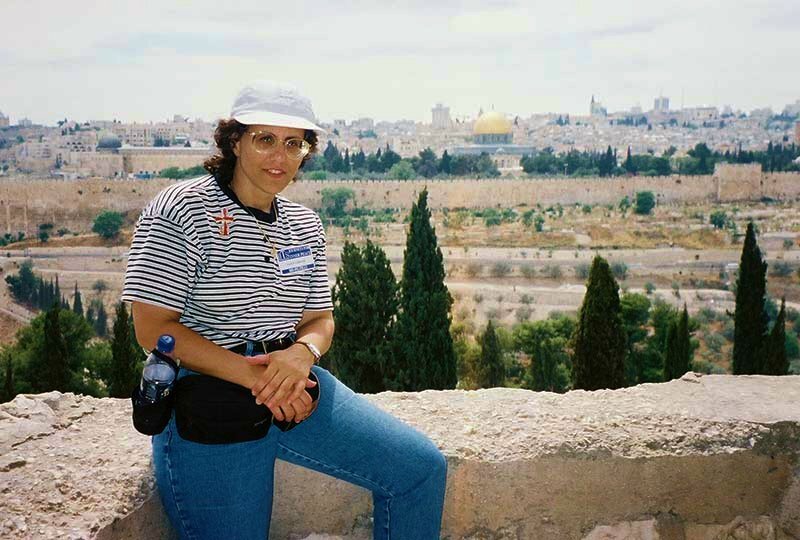 For a close-up look at the Wailing Wall today, click on it in the photo above.